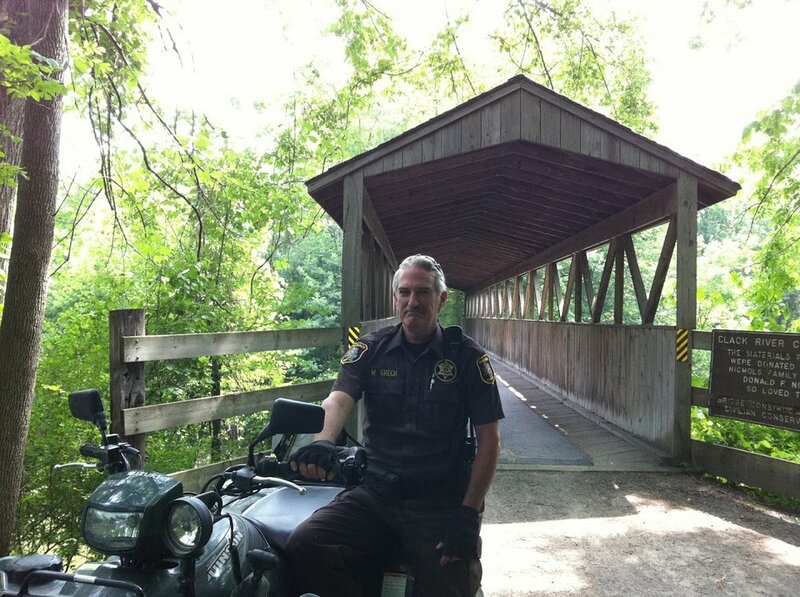 The Van Buren County Reserve Association is a group of volunteers whose dedication and hard work have made the group an outstanding organization and a tremendous benefit to the Sheriff’s Office and the citizens of Van Buren County. The group was formed in the year 2000 as a way to support Deputies with a second person in the car for patrol operations. Since that time, the group has transformed into a well trained multi-facetted organization which has under taken many more responsibilities and duties. 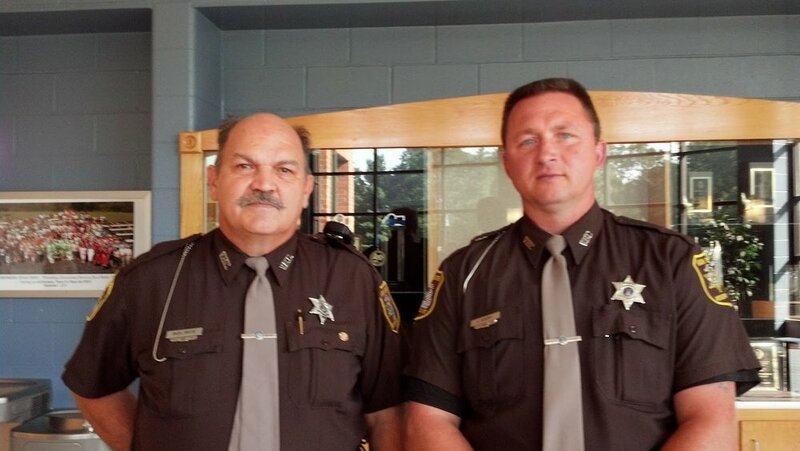 The Van Buren County Sheriff's Office Reserve Association will recruit and retain qualified persons to serve at the Sheriff's pleasure in supporting public security, protection from civil unrest, search and rescue, assistance with Road Patrol, Marine, and Corrections Division missions, projecting a positive image upon the Van Buren County Sheriff's Office to the community. This past year in 2018, a total of 7378 hours worked for the unit. Each person worked an average of 300 hours or the equivalent of 922 eight hour shifts. To spend this much time away from family and friends shows the dedication of these volunteers. But it is what they did with those hours that sets them apart and makes them special. While a fair share of the hours were spent with road operations, over half were on special assignments which would have taken Deputies away from their duties, or the Sheriffs Office would not have been able to provide the service had it not been for the Reserve unit. In this time of budget cuts and loss of services, it is a high point to be able to say that services to the citizens of Van Buren County were increased with little cost to the tax payer. The STOPPED program was developed by the Michigan Sheriff’s Association to form a partnership between parents, teen drivers, and law enforcement. With the outcome of promoting safe teen drivers, the program has presentations for parents and young drivers and requires registration of vehicles driven by the teen drivers. 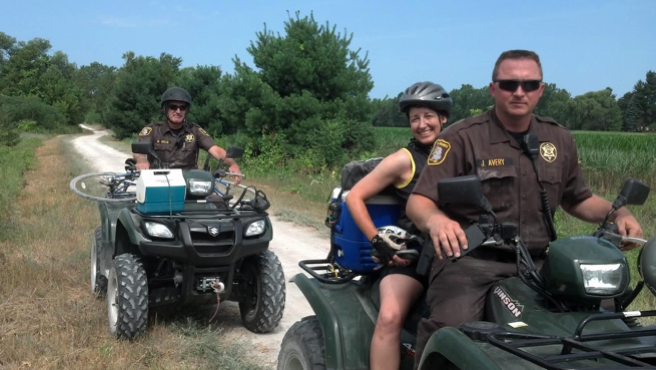 The Reserve unit has taken this program to the highest level in the state. For 2007-2015, Van Buren County received the top award from the Secretary of State for the most people registered in equivalent size counties. Van Buren County is the only county to have received this award for 8 consecutive years since inception of the program. Each 4th of July, the City of South Haven hosts one of biggest fireworks displays in the state; it draws 40 to 60 thousand people to this small town. It is a traffic nightmare, to say the least. Over the years, the Reserves have assisted with traffic control. The last two years, traffic control has been their total responsibility. The Reserves have acquired extra equipment and taken special training to deal with these large volumes of traffic. Each month, the 18 township boards in Van Buren County receive a report of police services in their respective townships. This has traditionally been done by Patrol Deputies, however, in 2016 eight of the townships have been transferred to the Reserves. This insures that someone will attend the meeting; Deputies sometimes would be called to other more important tasks and would miss the meeting. Reserves are assigned a township and have no other duties for that time period. The result is a township board that sees someone from the Sheriff’s Office every month thus improving communications. Many, many more hours of training. The request for services form must be completed, signed, and received at the Van Buren County Sheriff office no later than two weeks prior to the scheduled event. This will allow adequate time to schedule the needed resources. Download the form by selecting the link below "VBC RESERVE EXTRA DUTY REQUEST FORM"
Any requests received (postmarked) with less than two weeks notice are subject to refusal by the Sheriff's Office.